OurEnergyPolicy.org | What’s Next for the RFS? In November, 2013, EPA announced a highly contentious proposal that lowered the 2014 Renewable Fuel Standard targets below their 2013 levels. These targets apply to the amount of renewable fuels that are blended into the nation’s gasoline supply. A year later, EPA abandoned the proposal after significant push back from the renewable fuel industry, agreeing to reconsider the 2014 targets. EPA has yet to reissue the proposal. The American Petroleum Institute (API) and the American Fuel and Petrochemical Manufacturers (AFPM) filed a lawsuit over the delay, contending that they are left guessing how much ethanol they were required to use last year. As part of a proposed settlement, EPA announced on April 10 that they will finalize targets for 2014, 2015 and 2016 by November 30, 2015. Proponents have lauded the settlement, suggesting that regulatory certainty will help generate investment in renewables, yet some within the renewable fuel industry are stressing the need for EPA to get it right rather than just done quickly. At issue is the precedent that will be established by the final 2014 targets. As part of the abandoned proposal for 2014, EPA claimed authority to waive some of the statutorily set volume requirements, citing lower than expected gasoline demand and a set of concerns known as the “blend wall.” Despite suggesting that they will set the 2014 requirements based on the actual volumes used, EPA has not indicated what those targets will be. Many in the renewable fuel industry are concerned that EPA will again waive some of the requirements, compromising the future of the program and billions in investment. Should EPA adhere to the statutorily set volume requirements? How might EPA’s decision effect the renewable fuels industry? 12 Responses to What’s Next for the RFS? The question if EPA should adhere to statutorily set volume requirements is very broad. One little known fact about the 2007 EISA is that EPA is required to reset the volumes if it waives that volume by 20% for two consecutive years or by 50% for one year (but not before 2016). The Cellulosic fuels have already hit this reset trigger and if EPA can keep its word, we should see where they propose to reset it by June of this year. And as a trickle down effect we could expect to see total advanced biofuels to be reset for 2017 and total renewable volumes reset for 2019. Beyond these resets, the EPA does not have the authority, as they originally assumed in 2013, to change statutorily set volumes except for two reasons; lack of product and secondly because of extreme economic harm. While bio-diesel may warrant some discussion as to its economic viability and hence a ‘harm’ is done; this is not the case for ethanol. Actual ethanol blending was in excess of proposed 2014 volumes and no economic harm of any kind can be seen. The question of insufficient distribution infrastructure was debated in conference and deleted from the draft for the final law. I think the ‘intent of Congress’ is obvious and can be easily documented. The real issue with EPA is their contradictory rule making and timidity. The 1990 amendments to the 1970 Clean Air Act established a 1 psi waiver for maximum Ried Vapor Pressure (RVP) for E10. The bump in vapor pressure peaks at about 10 – 12% ethanol and then begins to decline. In other words E15 or higher blends is no worse than E10 in RVP and gets progressively better. While a good argument can be made that the ‘intent of Congress’ was to allow a substitution of a higher blend ethanol if the RVP is not adversely impacted, the EPA refuses to make this ruling. This and aggressive legal action by oil franchisers makes selling higher blends of ethanol difficult. For the retailer, E85 by itself is not a good choice as its sales volumes are small. If a retailer could replace the 93 octane (a small volume fuel) with E85 without being sued by the oil companies or needing to meet these arbitrary RVP requirements, they could sell a variety of ethanol blends by blending the two together at the pump. Stations that have done this in the Midwest have reported significant increase in total sales. The ‘blend wall’ is not real, only a virtual wall of bureaucracy. Legislation in both the Senate and House has been submitted to include E15 in the 1psi RVP waiver. How might EPA’s actions affect the biofuels industry? Ethanol has been essentially voluntary through 2012 as it is the least costly octane enhancer. The industry’s relation with EPA has been tenuous for a long time and that is unlikely to change soon. Those involved in advanced fuels and bio-chemicals are largely going off shore with some notable exceptions in the chemical segment. The confrontation in the U,S, is essentially about market share. Both Ford and GM are pretty much on record for favoring E30 – 40 blends to help them meet future CAFÉ standards. In EPA’s final rules on tier 3 fuels and vehicles would suggest they have made a concession to the oil companies saying they anticipate increased ethanol content leading up to 2030 when E15 would be the standard. This time frame would be well behind the EISA statutory volumes without ‘drop in fuels’ which are not proving feasible for a variety of reasons. They have also closed in on the possibility of using E30 blends with their adoption of the MOtor Vehicle Emissions Simulator (MOVES) for 2014 which is a computer modeling program to project emissions. They used a Chevron consultant to make an inappropriate E30 fuel standard that got a big pushback by various organizations including a SAE report supported by Ford and GM. This standard essentially makes E30 illegal. The next 18 months will be important and we should all keep an eye on EPA favoring Big Oil. EPA was right to withdraw the disastrous proposed rule for 2014. The methodology they proposed to use — assuming authority not granted to the agency in the law — did nothing more than destroy market incentives for investments in advanced and cellulosic biofuels. When they re-propose the rule, EPA needs to send a clear signal that the RFS ensures that all renewable fuels produced, up to the annual statutory volumes, will be used in the U.S. market. The 2014 proposal clearly contravened Congress’ intent in adopting the RFS. Thirty-seven Senators recently wrote EPA to deliver that exact message. “The intent was a forward-looking policy that drives future investments in both biofuels production and the infrastructure necessary to bring these biofuels to market,” they wrote. EPA’s own actions — delays in approving biofuel production pathways, delays in rulemaking in 2013 and 2014, and the disastrous methodology proposal for 2014 — have hindered the advanced and cellulosic industry’s ability to scale up production. The policy instability discouraged investors in the sector just as producers began to prove that commercial-scale production biorefineries were reproducible. The resulting chill in investment is estimated to be in the neighborhood of $13.7 billions of dollars. EPA’s decision to make the disastrous 2014 proposal was prompted by misplaced concern for preserving the oil industry’s market share. The RFS requires the United States to reduce reliance on foreign oil and increase use of environmentally preferable biofuels. Reducing greenhouse gas emissions requires displacing use of oil. And the biofuel industry continues to provide options for meeting the RFS goals, including ethanol, renewable diesel, and compressed or liquefied natural gas. Biorefineries with 50 million gallons of cellulosic ethanol capacity are starting operations, and more are nearing construction completion. But it’s clear that the oil industry will do anything it can to avoid providing cleaner fuels to Americans — including pushing legislation to excuse their industry from the RFS requirements. To get the RFS back on track, and revive the investment necessary to fully commercialize cellulosic and other advanced biofuels, EPA must return to the original intent of the RFS — ensuring that all renewable fuels produced, up to the statutory volumes, will be used in the U.S. market. I must take a minor exception with the statement “EPA’s decision to make the disastrous 2014 proposal was prompted by misplaced concern for preserving the oil industry’s market share.” I think that it is more of a misplaced concern for keeping fuel prices low in an economy that was/is still recovering. There appears to be a lack of understanding in how the RIN pricing should work and instead an acceptance of the ‘Chicken Little’ argument as revealed in the press release from Senator Jeff Flake that you cite. This was certainly the gist of the Washington rumor mills. James Stock, a member of the President’s Council of Economic Advisors from 2013-2014, believes that a more aggressive approach is best, not the conservative approach reflected in the proposed 2014 rules. His paper can be seen here http://energypolicy.columbia.edu/sites/default/files/energy/Renewable%20Fuel%20Standard_A%20Path%20Forward_April%202015.pdf This paper however is economic theory and does not match what actually happened during the ‘RINsanity’ of 2013/14. Since blending was largely voluntary, outpacing mandate levels until 2013, this was the first time RIN pricing really had a chance to work. It revealed several short comings of the system that can be corrected but regardless if these fixes were to be put in place, increasing volumes through an E85 format is questionable. While E30-40 should be future ‘high performance regular’ blend E85 and E15 are the present blends available to increase volume. Road blocks for retail distribution of E15 remain a problem. Stock’s analysis of RIN markets (and Prof. Irwin’s, which is the basis of Stock’s) is far too theoretical. It relies on an assumption of a free and well-functioning market, which does not seem to be the case, especially since the 2013 obligation deadline has been extended indefinitely. At a minimum, there’s too little information from EPA on the volume and average prices of RIN trading for the market to function well — the existing data from OPIS and Platts is based on offers and bids as well as deals. Stock’s evidence of RIN prices being passed to consumers is very tenuous. One enormous complicating factor for the RIN market (that Stock and Irwin don’t account for) is that obligated parties elected to defer 2 billion gallons of the 2012 conventional (D6) RIN obligation (out of 13.2 billion total), automatically adding it to 2013 obligation. The collective deferral makes little sense, given low 2012 RIN prices. But it was the proximate trigger for the rise in RIN prices in 2013. Yes, Stock’s paper is just theory as I said. I am aware that Bret Erickson of your esteemed organization has said that he thinks Stock’s proposed reforms would compound damage already done. But the RIN trading program seems open to manipulation and more transparency is needed. The one change Stock made was to change the obligated party from producers/importers to blenders. I think this makes sense. Regardless of any other changes, the one that seems to be most important is to apply the 1psi waiver to E15 (or higher) blends as this is strictly a bureaucratic requirement not supported in science. If EPA were to require the petroleum producers to certify the chemical soup that we call ‘blend stock’ any amount of ethanol added would be a known and predictable change to the fuel. This would allow retailers to expand their market to various blends and better justify installing blender pumps. Making the blender the obligated party will make them push product rather than take profit and also open up the distribution market somewhat to ethanol producers. Any comments? Instead of biofuels such as ethanol and green diesel making the internal-combustion engine fit into a world with greenhouse gas limits, wholesale new solutions are coming fast. The quote is from a Bloomberg Business article, Big Oil Is About to Lose Control of the Auto Industry, discussing the keynote presentation by Michael Liebriech of BNEF in New York last month. One the article’s key points is that biofuels, such as biodiesel and ethanol that are designed to make the “internal combustion engine fit into a world of greenhouse gas limits” will soon be irrelevant. If Ethanol provides about 10% of our US supply, maybe policy should start the process of decreasing it’s market share. •	The Biofuel Investment Plunge Is Cutting off Big Oil’s Favorite Clean Solution. Investment has plunged 90 percent since peaking at $29.8 billion in 2007. Gasoline substitutes made from corn and sugar in the form of ethanol represent about 10 percent of the U.S. fuel supply, but efforts to make an alternative from crops that can’t be eaten have stalled. And lower oil costs eat away at the economic rationale for cleaner fuels. Liebriech’s clean transportation optimism is further based on a belief in the signs of an urban transit revolution. Over the last 10 years we have seen a 17% drop in vehicle miles traveled, a global phenomenon. Finally, 50% of the world’s population now lives in cities. Shocking air pollution pics from cities all over the world were part of the keynote address, many in the Far East where the growth in oil demand is supposed to lie. To which I would add … Researchers on a mountaintop in Oregon measure pollution in clouds blown here from China. They can link increased bad air days in LA and other west coast cities to the toxicity in those clouds from China. Clear reason to hope for the Urban Transit Revolution of walkable cities, bike paths and all. Should EPA adhere to the statutorily set volume requirements? Yes. The RFS is decreasing our dependence on foreign oil, creating jobs, revitalizing rural America and improving our environment, all while providing consumers with a choice and savings at the pump. The RFS was adopted by a bipartisan congress in 2005 and expanded in 2007. It has been our nation’s most successful energy policy in the past 40 years, and if the EPA wants to continue to move our nation forward with the adoption of renewable fuels, it should adhere to the statutorily set volume requirements. How might EPA’s decision affect the renewable fuels industry? Any proposed changes to the RFS would not only affect the renewable fuels industry, it would also affect the American consumer, the ag economy and our environment. Ethanol is cleaning our air and improving our environment by reducing greenhouse gas emissions. According to the Argonne National Laboratory, ethanol reduces greenhouse gas emissions by an average of 34 percent compared to gasoline, and advanced biofuels like cellulosic ethanol have the potential to reduce greenhouse gas emissions by over 100 percent. Additionally, since the RFS was enacted, net farm income has increased by more than 50 percent while federal farm payments have decreased 39 percent. Furthermore, companies from all over the world have invested billions of dollars in first and second generation biofuels in the United States, which has helped make the commercial production of cellulosic ethanol a reality. Any reductions to the statutorily set volume requirements under the RFS would have a drastic impact on a number of industries. When EPA issues its final RFS-RVO volume requirements later this year, they should promote the policy goals of the RFS and the growth of renewable fuel volumes so we can continue to reduce our dependence on foreign oil, improve our environment and offer consumers and choice and savings at the pump. We are exporting far more gasoline than is displaced by corn ethanol, and some of the ethanol blended in our fuel is imported from Brazil to meet RFS mandates. How is this situation an improvement in US energy security? EPA should absolutely adhere to the statutorily set volume requirements. These requirements are based on the supply of renewable fuel that can be produced, not the available distribution infrastructure or amount of gasoline being consumed. 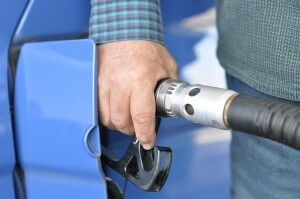 Lower gasoline consumption simply means the petroleum industry will lose a little more of its market share and clean, renewable, domestic biofuels will account for a greater portion of our gasoline supply. While the petroleum industry is not keen on an open market that allows for competition, this is exactly what the RFS was intended to create. The RFS was enacted with the intention of increasing biofuel production each year to 36 billion gallons by 2022, while overcoming the artificial “blend wall” that currently limited biofuels to 10 percent of the gasoline supply. EPA’s 2014 proposed volume requirements signaled the exact opposite intention to developers, investors and blenders. Namely, the biofuel industry would not be permitted to grow beyond the “blend wall” and there would be no market to sell additional biofuel production into. This artificial cap on demand for biofuels, below what the industry was capable of producing, slowed growth, stymied investment and forced many biofuel facilities to cut back production levels or shut down all together. EPA’s decision to adhere to the statutorily set volumes or the artificial “blend wall” will have significant impact on the renewable fuels industry. No industry, whether it is renewable fuels, healthcare, entertainment or any other can grow and secure necessary financing unless they have a viable market. How EPA sets the volume requirements will determine whether there is a viable market for renewable fuels in the U.S. leading to lower gas prices and volatility at the pump, competition and consumer choice, a growing domestic industry and improved air quality, or biofuel development, investment and corresponding benefits goes overseas. It’s intriguing that neither environmental groups nor the oil industry are fans of the current RFS. (Ref article – “EPA Abandons RFS Rulemaking for 2014”.) It also appears that, notwithstanding some inevitable bashing of big oil, the biofuels industry generally endorses the recent EPA/oil industry settlement. (Ref. article – “EPA says proposed RFS requirements will be released by June 1, finalized by Nov. 30”). It’s clear from the discussion that administering the RFS is no easy task. But I’m left with these questions. First, corn ethanol’s mandate for 2015 is 15 billion gallons. Is there a risk that this amount of corn ethanol won’t find its way to market in 2015? Is corn ethanol seeking to fill any shortfall in the production of advanced biofuels? As for advanced biofuels, I believe their mandate for 2015 is about 5 billion gallons. Is there a risk that this amount of advanced biofuels won’t actually be produced? How is 2016 looking? Third, the EPA does not generally seem to have severe problems administering other regulatory matters, not-withstanding pushback from the affected industry. Why doesn’t the EPA’s administration of the RFS fit this trend? And finally, why doesn’t the biofuels industry bypass the oil industry and establish its own retail network? To answer your questions, you need to understand how RINs work and what the mandate really is. There are presently 4 RIN designations and are of a ‘nested’ nature. D6 is corn ethanol, D5 an advanced non-corn, non-Bio Based Diesel (BBD), D4 is BBD and D3 cellulosic fuels including ethanol, diesel, DME etc. D4 RINs are primarily ethanol from sugar cane, but ethanol from sorghum and I believe sugar beets is also in this category. There is no corn ethanol (D6) mandate, only a cap of 15 billion gallon. The mandate is for total renewable fuel, be it corn ethanol, from cellulose or other feed stocks that qualify it as advanced. The volumetric ‘targets’ that you may see for each RIN type exceeds the total mandated volume. Corn, by EPA definition can’t be an advanced biofuel, regardless if increased efficiencies in production would other wise qualify it as advanced. D4 or D5 RINs can count as D6 RINs; D3 RINs can count for D4 or D5 RINS. Since nothing can replace a D3 cellulosic RIN, that figure becomes a mandated volume. We have been falling behind on total renewable fuels for the last three years due primarily to the unrealistic early inclusion of cellulosic fuels. 2014 statutory volumes for cellulosic fuel was 1.75 billion with total renewable fuel set at 18.15 billion. Production capacity was about 17.7 billion, a mere short fall of .45 billion which was probably available from imports. The proposed EPA volumetric obligations did not reflect this reality and actually reduced advanced biofuel volumes from actual capacity. The total renewable fuel statutory mandate for 2015 of 20.5 billion will not be met because of regulatory regression with US capacity at about 18.5 billion. Imports could make up for some of this, but US investments have been made difficult. Corn ethanol cannot, by ruling, fill a shortfall in advanced biofuel production. The 5.5 billion advanced biofuel statutory mandate in 2015 contains a 3 billion cellulosic fuel component that will only be about .7 billion but with about 3.7 billion domestic capacity for advanced biofuels and another .6 billion probably available as import. Total 2015 volumes of advanced biofuels could reasonably be 4.6 billion, down .9 billion from mandated levels. Corn ethanol will fall short as the 15 billion set aside will only be about 14.2 billion for a .8 billion shortfall. Increased capacity for 2016 would need to be breaking ground now to give any production for 2016. 2016 target mandates will be missed by about 1.7 billion. There will be more production of ‘other advanced biofuels’ with the shortcoming coming strictly in the cellulosic sector. From a ‘low hanging fruit’ approach, there is about 1.4 billion of potential cellulosic ethanol and maybe about .3 billion of BBD to be brought on line as low cost ‘bolt-on technology’ to existing corn ethanol refineries that would extract these from present DDGs and make the DDGs more desirable for some feed options. If it weren’t for EPA’s dithering, we could less than one year behind statutory levels even though the US went through its worst recession in 80 years. EPA’s rule making has become ever more out of touch with reality since the Clean Air Act of 1990, and the results are that the agency is now achieving in many areas the opposite of its charter to protect the nation’s air, land, and water. MTBE was a groundwater poisoning fiasco authored by EPA. It now chooses to ignore the fact that ethanol operates exactly the same as MTBE to increase the soil and water plumes of the BTX components of spilled or leaked E-10 gasoline far beyond those of E-0 gasoline. Federal law dropped the requirement for fuel oxidants in 2006 because the problem of carbon monoxide emissions was solved by engine computers, but EPA still nonsensically insists on oxidated gasoline that increases emissions of volatile organics such as aldehydes that are health hazards and generate photochemical smog. The RFS program has been acknowledged by both the EPA and the National Academy of Sciences to have increased, not decreased, lifecycle GHG emissisions by 21-33% to date compared to use of E-0 gasoline, and also to have increased the emission of ozone and black carbon particulates to the point where our current use of E-10 gasoline should statistically be causing the premature death of 245 more Americans each year than using E-0 gasoline. How can any agency be allowed to make rules or enact policy that increases the American death rate? The most amazing affront to its RFS mandates from Congress is the rule EPA made in 2013 to redefine cellulosic fuel to include non-cellulosic feedstock. They literally said that Congress did not know what it was doing when it defined “cellulosic.” EPA has now removed any requirement that it is cellulose that actually gets converted to fuel, just that some cellulosic biomass must be shoveled in at the front end of the process along with 25% of any other ingredient. So an enterprise like Quad County Corn Processors can shovel in corn kernals that are 25% residual starch and 75% hemicellulose, make ethanol from only the starch fraction through the conventional fermentation and distillation process, dump all the non-participating and still unconverted hemicellulose to waste at the end, and claim cellulosic and advanced fuel RINs in a huge miscarriage of justice and science. EPA’s non-scientific rule change is what changed the production of D3 cellulosic fuel from 0 gallons per month to 7.5 million GPM in only 2 months in 2013. The RIN program is a complete farce that has already been victimized by Lamborghini-driving fraudsters, and the cellulosic pedigree of these D3 fuels would not survive the mass balance analysis of any competent chemist. The American people deserve an EPA that actually obeys Congress and abides by federal law and protects the environment, not one that is wielded as a political tool of coercion and destruction by an imperial executive. For all of the reasons above, Congress needs to repeal RFS, remove EPA’s rule-making authority altogether back to elected representatives where it Constitutionally belongs, and return science and sanity to US energy and environmental policy.